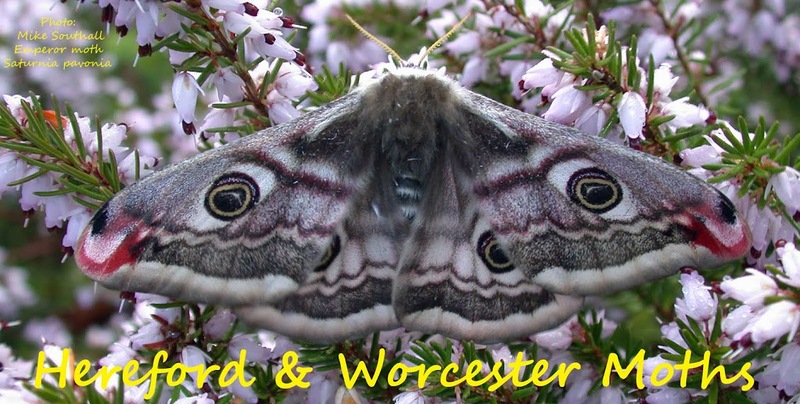 The WBRC 'Finding Rare Species in the Malverns' public event mentioned in an earlier post was very successful with a good number of visitors either running traps or 'spectating' on the Monday evening with some returning with some new faces for the ID session on the Tuesday morning. 6 traps of various types were set up around the site which was mostly old established orchard. Being on the extreme western edge of VC37 Worcestershire it is an area that is relatively under recorded. Another warm night with a little breeze meant traps were busy but not overwhelmingly so. The species list will be well over 100 for the night. Highlights for me were The Olive, Waved Black and Slender Brindle, but probably the most notable species found was the micro Dichomeris alacella. 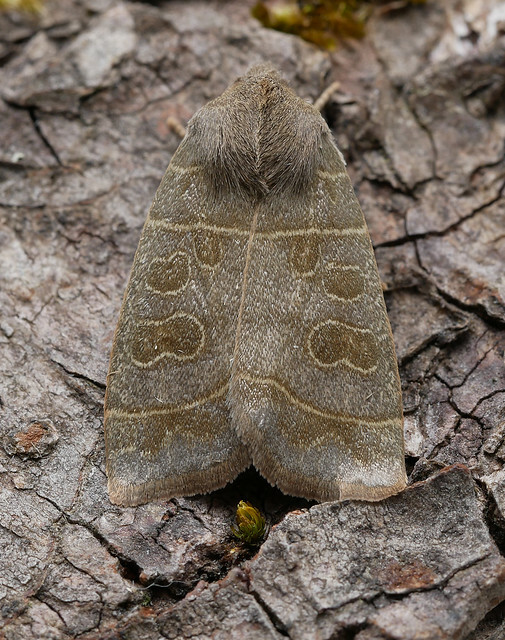 Classified as nationally scarce B, in VC37 we have had only 3 prior records, the first in 2011. All these were singletons. I saw at least 5 individuals over the evening, so it is fairly safe to say that there is a nice colony of these moths at the site. The old orchard would be perfect habitat for the lichen feeding larvae. 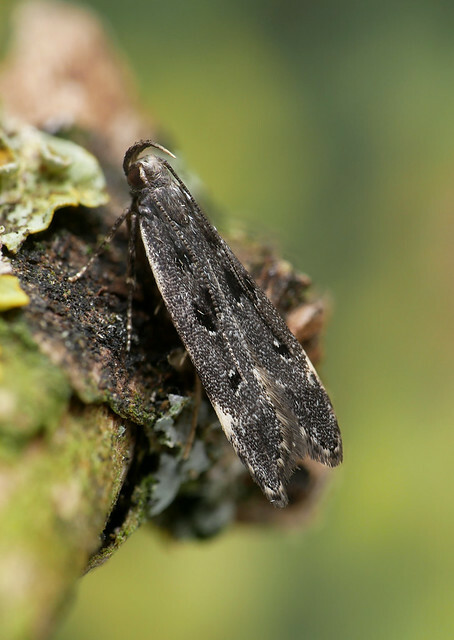 It is a moth that appears to be on the rise, since it has been recorded more frequently in recent years including some records from the Herefordshire side of the border.